We all know that pearl is found in ocean. In the depths of the blue sea in a shell you can locate pearl. It is an organic product and is also known as a gem. It has been used in jewelleries for years. It happens when under the influence of swati Nakshatra rain drop falls in the mouth of an oyster. This is now pearl is naturally created. Swati Nakshatra is the favourite wife of moon. However, in today’s world due to the in demand of pearls these are also made artificially. Many pearls are made by using chemicals and in factories. These are called cultured pearls. What is done is very simple. On the night of swati Nakshatra a substance that is similar to rain drop is infused in the sea shells. As a result pearls are formed. As these are made on a large commercial scale these are economical compared to the other pearls that are naturally found. In the olden days the purest of pearls could be afforded only by few rich people. Pearls have always been considered as a part of astrology and Ayurveda as they have magical properties to heal body and soul. We will now discuss in more details the role of pearl in astrology. I hope you will find this interesting and share your point of view on the same. As we know that in astrology all gems are associated with certain planets. The same holds true for pearl too. It is associated with the moon. Many may say that moon is not a planet. It is a satellite. However, it is considered as a planet in astrology. In Hindi moon is called Chandra. Pearl in Sanskrit is called mukta. It is a natural stone that is made by the combination of sun, water and earth. It rules the tides at the sea. It also rules the vegetables and plants. Moon is powerful. It is the only celestial body that provides earth with light in the night. Without the moon earth would be absolutely dark at nights. The moon is white in colour so is pearl. The stone is chemically made of oxygen and calcium. It is associated with mother and childhood. Any disease that is related to brain and breast can be cured with this stone. Moon is associated with peace as a result this gem also brings peace of mind for all. It can bring fame and success to the wearer. In western astrology as per the sun sign this stone is recommended to the cancers. In Hindu astrology it is recommended as per the natal chart and planetary positions. It is mostly worn by those who are always in blows from others, it makes one more pacified, it improve passion and relation as a result it is worn by people to improve their family ties and relationship with parents. It makes ones heart strong and royal. It is worn by writers as it can improve imagination. Why not its creation itself is so magical it should enhance the creativity of the one wearing it. It improves concentration levels as a result it helps students to concentrate and learn faster. It is often associated to intelligence because of this quality. This stone can be recommended to children. This is not possible for many other stones in astrology. Other stones can have a strong influence on the health and mental well-being of a child but pearl is safe. The belief is that if a mother buys the pearl for her child it will work much faster. Well as per health is considered it can help the wearer too. In the ancient Ayurveda the powder of pearl was used for many medicines. It can remove abdominal diseases, eye related abnormalities, urine and throat infection, etc. It enhances the energy level of the body and improves the efficiency of the body. It can improve the quality of the skin. Many beauty related products use the powder of pearl to make face packs. This is so because even the modern dermatologists belive that it is good for the skin. When you buy a pearl be extra cautious it is very difficult to understand the difference between a good and a bad one. Try to buy it from a reliable source or a jeweller whom you can trust. We would advise that you take it from the astrologer who has suggested it to you. Keep a certificate of the stone with you always. Never buy one with cracks and ridges as they can cause harm to your health. If the surface is not clear white and has a wavy texture to it then these stones can bring misfortune, a pearl with dents is a complete no as this can cause loss of wealth. Even a mole like formation on the surface of a pearl is not good. Avoid these at any cost. Never use any harsh chemicals to clean pearl. Always wipe it with a soft cloth that’s all. Most cultured pearls are bleached as a result they are not of much value in astrology. You must ensure that you don’t buy a bleached one else it will not full fill the purpose. When you wear a pearl for astrological benefits always wear it with silver. You can wear it as a pendent or a ring. It should always be minimum two hundred and forty milligrams. You can wear even a bigger one as recommended by your astrologer. You must wear it in the little finger always. It is worn on a Monday. It can be worn while chanting Om aim kleem somay namaha”. After wearing it you can give Dakshina to a Brahmin for better results. It is best worn when the moon is just about to rise in the evening sky. Some interesting facts about this gem are that it can be found in black and silver colours too. However, none of those are worn for astrological purpose. Australia is the biggest producer of pearls. Sri Lanka’s pearls are considered to be the best in the world. Natural pearls that are very rarely found are priced ten times more that natural pearls. 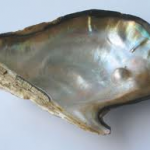 The first cultured pearl was made in Japan about a hundred of years ago. The perfectly round pearls are of more value than the ones that are not so well shaped. These are all the points that you must know about wearing this magical stone. However, you need to be very careful about the certain facts like consulting an astrologer, the texture and finish of the pearl, etc. The stone can do very good to you. Just that you have to have complete faith in it.